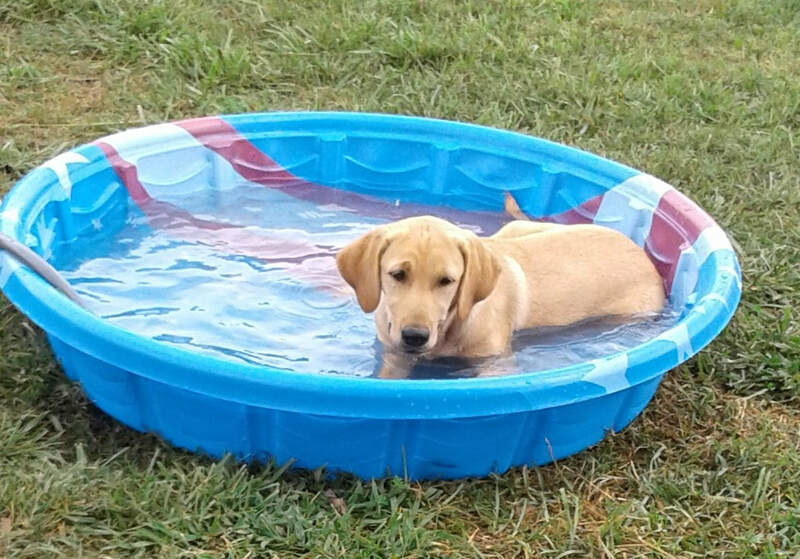 ​Welcome to our Puppy Page. All our puppies are kept up-to-date on their vaccines and dewormings, are vet checked before leaving our home and come with a health guarantee. ​A non-refundable deposit of $250.00, which will be applied to the full purchase price, will hold your puppy for you. The order of deposits is what determines the order of selections. See our "Health Guarantee and Sales Agreement" page and "Our Adult Labs" page for further information. There are no available puppies at this time. Georgia, Virginia, Maryland, California, North Carolina and South Carolina. ​This was the last litter we had which whelped on November 10, 2018. The parents were Princess Cassandra Raine and Prince Dakota Rustin. These precious darlings were so much fun and a joy to watch them grow. They were 8 weeks old on January 5, 2019 and they have all moved on to their forever, loving homes. We are expecting Duchess Jazzmin Renee will have her first litter this fall/winter instead of spring as we had previously stated. We had planned to breed her with Noble Malcolm Jaxon, our chocolate male. Jazzmin and Malcolm both turned 2 years old in February and we had their hips and elbows tested by OFA. Sadly, Malcolm's report was not up to our standard for breeding. In waiting on these test results we missed out on breeding Jazzmin this spring, so we will anticipate her first litter this fall/winter. Princess Cassandra Raine and Prince Dakota Rustin may have another litter this coming fall. ​Thanks for browsing our Puppy Page. Please contact us with any questions you may have.